The Historic Caravan Club aim is to promote the preservation and use of vintage and classic caravans and give an increased awareness of this important part of our motoring and social history and educate future generations in the development and preservation of caravans. 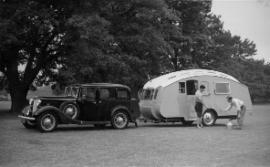 Historic Caravan Scene No9 now available! (C) Historic Caravan Club 2013-2014 all rights reserved.